Attention: This is a digital download. Make sure you put your email in properly when checking out, as your download code will be emailed to you with your receipt. The download code will remain valid for 7 days after purchase. The Take it Easel collection of samples is sample pack like no other. All of the samples included in this pack have been either generated or processed through the Buchla Music Easel. The Buchla Music Easel is one of the most iconic and classic analog synths ever produced by Don Buchla; the legendary maven and inventor of West Coast Synthesis. The Buchla Music Easel’s signature sound is only made possible by an all analog 2 oscillator system, the Buchla “low pass gate” and internal spring reverb. The unique rhythmic timbres that resemble organic bongos and plucks can only be found here. To achieve our snare sounds we processed the Synthrotek DS-M Eurorack modules in various noise settings and we also used the MST Eurorack Noise / Sample & Hold module. 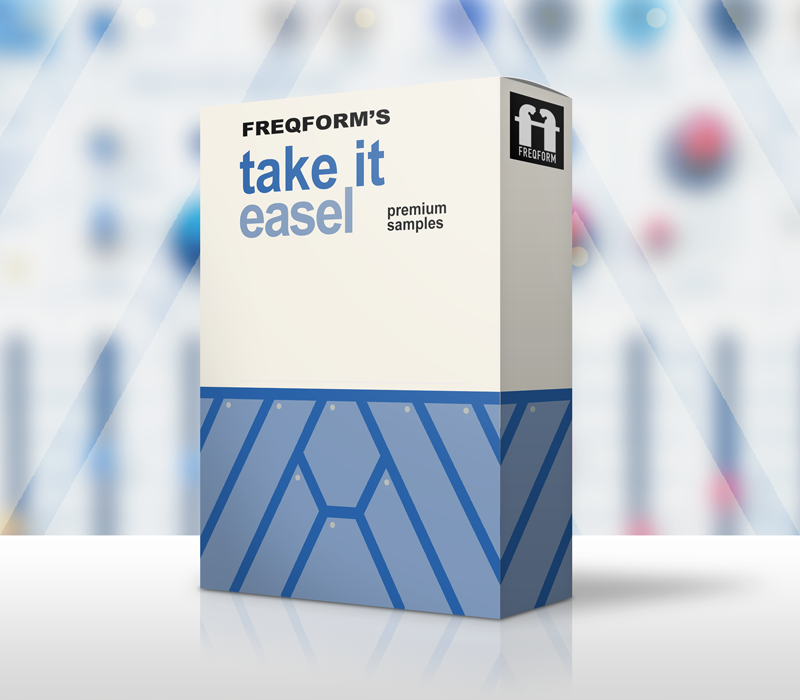 Below are five demo tracks made exclusively with the FreqForm “Take it Easel” Samples.